Here is our most recent listing. It's right on the golf course and it's chock full of upgrades. Plus, it's priced to sell! 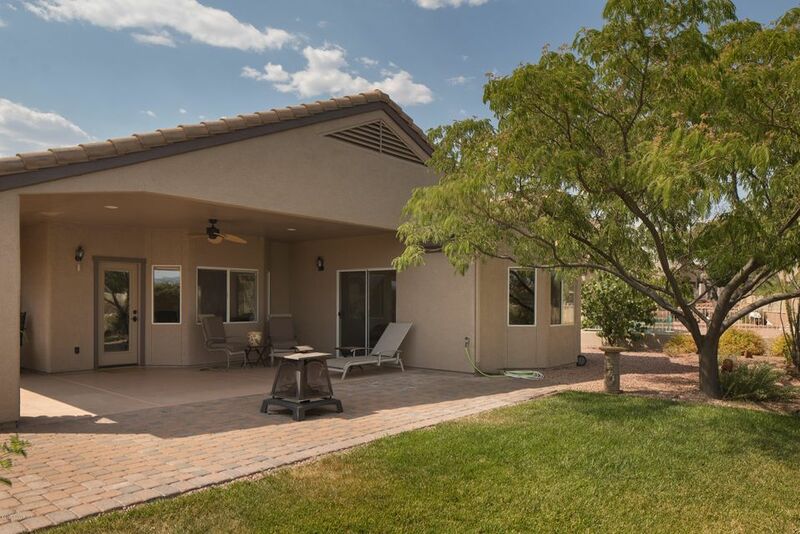 Everything about this southwestern style home shouts "upgraded". For starters, the garage & Mstr Bdrm have 4' extensions. Easy parking for your over sized truck or SUV and/or ample storage space. Split bdrm plan features desirable north-south orientation, & large covered back patio. Located on the 17th Green, you'll enjoy sweeping mountain views across an 18 Hole course. Outdoor living is at its best with a fully landscaped (and fenced) back yard & garden area; while the front Entry Court yard adds another private sitting area. Tile flooring, stone counter tops, pull out shelving in cabinets, gas fireplace & range top the list of Improvements. Gated community w/pool & spa. 15 minutes to Sedona - less than 5 to Cottonwood. Meticulously cared for - - come see for yourself! !